The One Dollar Horse is a wish fulfillment book for me. Growing up on an African farm, I used to dream about winning the Olympic gold medal for eventing like Tatum O’Neal in International Velvet. We had eight horses, including my black horse called Morning Star, the son of a champion racehorse, who had been born in a rainstorm – I was there and covered him with my raincoat. To me, Star was the greatest horse that ever lived and it was only a matter of time before we got to the Olympics. The best thing about growing up on a farm in the middle of nowhere is that there’s tons of space and free wood, and loads of people to help you with crazy ideas. I persuaded my dad to build me a cross-country course in our 100-acre game reserve. It sprawled through the whole thing, and even incorporated a water jump. I used to race around the game reserve on Star, watched by our pet giraffe and the impala, dreaming of Badminton. Quite apart from the fact that I wasn’t a good enough rider, Badminton didn’t happen because our farm was sold, we had no money, and because before very long writing took over from riding as my chief passion. But I love horses and eventing as much as I ever did. 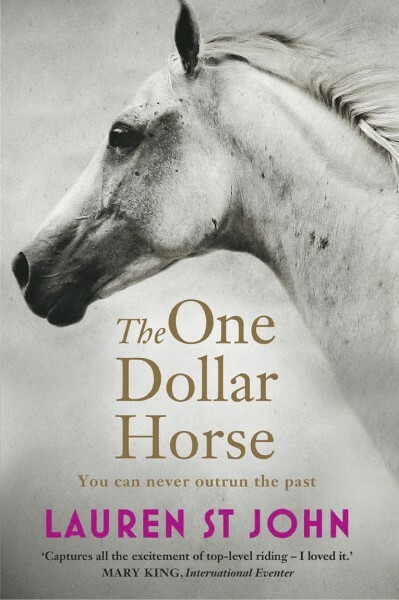 Writing The One Dollar Horse was my way of living out my dream through Casey Blue. With all my books, I find that my characters become friends, and I’ve never felt that more strongly than I did with this novel. I pined for them when I’d finished it. 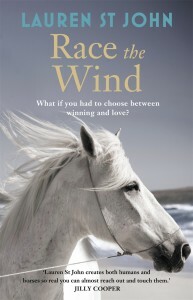 For that reason and many others, I’m very happy that there are two more books in the series, Race the Wind, out on 4 April 2013, and Firestorm, out in April 2014. 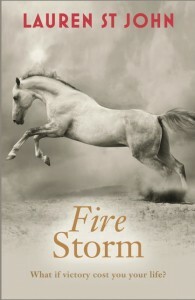 “Full of equine detail the book is definitely one for horse-lovers though the story is so strong that it will interest non-horsey types too. The underlying message is that a dream is achievable if you are willing to put in the hard work and make the sacrifices.